Kuwait has been seeing growing demands to write-off personal loans amounting to a whopping $40 billion. These have gotten stronger after some members of the National Assembly adopted these slogans to achieve electoral gains at the expense of the state’s resources and development. It has to be highlighted that such demands have been made from time to time in Kuwait, although a trait not seen in other countries because it is simply contrary to all financial regulations and rationale. It is true that Kuwait abolished personal debts after liberation from the Iraqi invasion, but those were exceptional circumstances that required it to do so. Most Kuwaitis had lost their assets, savings and source of income, and the waivers helped them start a new — but expensive — life. 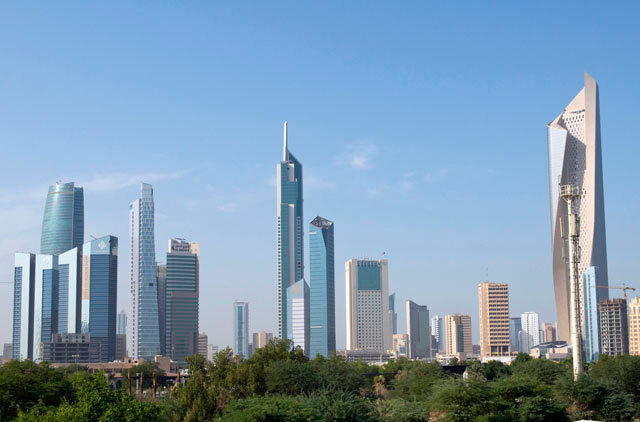 In the present, Kuwait, like other GCC countries, is experiencing economic growth and the vast majority of borrowers are able to pay off their debts. There is no doubt that there are some who became insolvent for various reasons, and GCC states do occasionally pay off their debts after studying each case, especially of those in prison. But that is done from a humanitarian aspect. Unfortunately, some banks have joined in this chorus and even encouraging people to borrow, hoping the government would settle the outstandings. This means there is more than one side trying to exploit the lack of awareness of some members of society and incite them to demand the government to settle personal loans, forgetting that such a mechanism has no place in today’s economic management. The $40 billion can be used for development projects in vital sectors, such as petrochemicals, manufacturing, tourism, transport, infrastructure and others that contribute to the diversification of national income and job opportunities. It can also be used to develop the non-oil GDP, increase exports, improve trade balance and provide additional sources of funding to the state budget, rather than wasting them in covering consumer loans, which should remain the liability of the borrowers and borrowing bodies and not the government. It seems that some people view the government as a charity foundation, forgetting that it is made of institutions, regulations and legislation that are harnessed to create a stable way of living for all members. And that state wealth needs to be used to shape the future and bringing about sustainable development that preserves the rights of future generations. In this regard, Kuwait has a special fund for future generations, where it annually injects significant investments to enhance its capabilities. However, Kuwait is still providing substantial subsidy support for foodstuff, fuel and basic commodities, and costing the state more than $13 billion in the 2019 budget. This leaves a great burden, and more as Kuwait is not applying excise tax on goods such as tobacco and soft drinks as well as value added tax. Although it is unlikely that personal loans will be written off, as this campaign will eventually come to an end as previous ones did, it is necessary to note that there are systems that characterise modern day financial management. These systems would not be easily understood by ordinary people or some political parties, including parliaments, which try to take advantage of naïveté to play with sentiments or difficulties suffered by individuals. This happens despite the fact that these financial difficulties can be solved within the scope of existing regulations. It is important for everyone including MPs to take up Kuwait’s supreme economic interests and its future into consideration and to harness the country’s wealth to build a diversified and oil-free economy. This approach is, in fact, of great importance for all government departments.